Let me just start with saying this took a LOT longer than we thought. 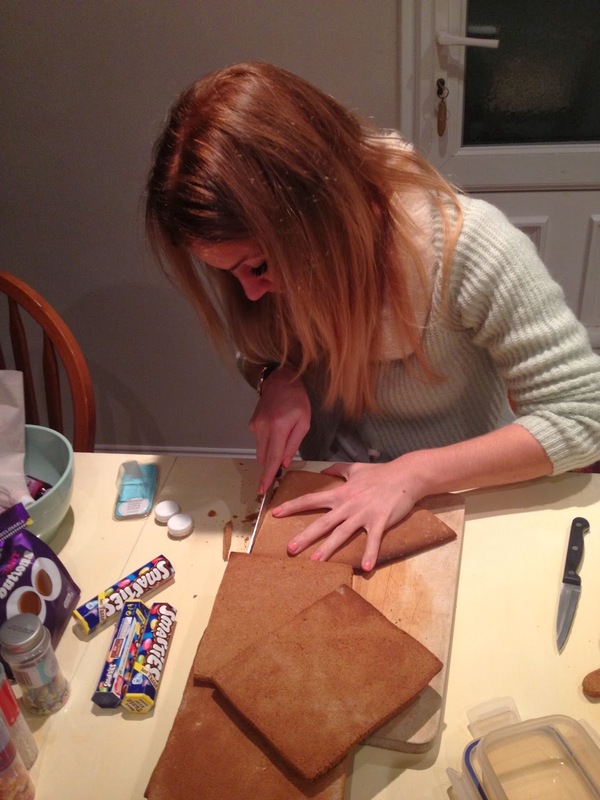 We followed The Channel 4 Gingerbread House recipe, I won’t re-type the recipe all out but if you’re going ahead and making it, pop the recipe up in another window and follow it with these pictures. I have photographed all the steps and will just add in any tips/changes we made along the way! TIP: We added 2 extra tbsp of golden syrup and 4tbsp water to the mixture as we found the dough too dry without this addition. 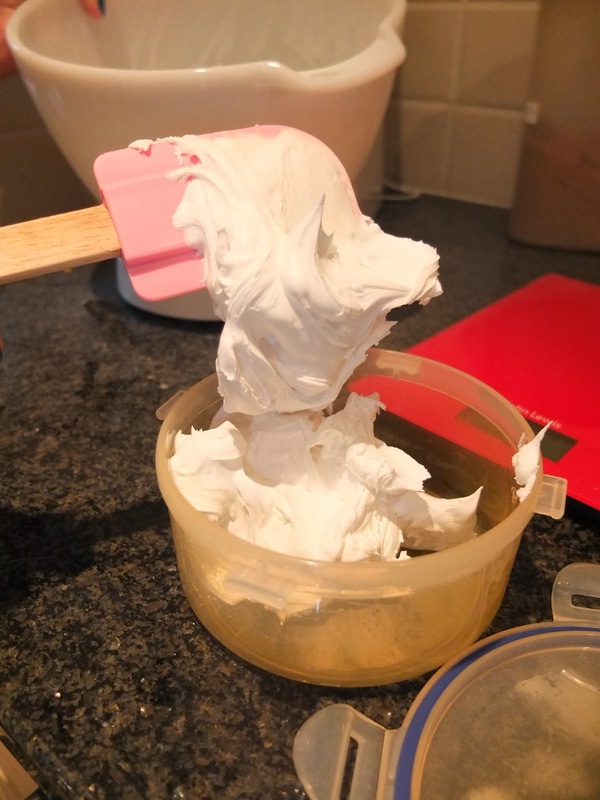 TIP: We mixed it for an additional few minutes to make sure it was pretty thick and would stick our gingerbread house together! How CUTE is the cupcake measuring tape? This one is actually from Accesorize but they have pretty much identical ones on Amazon – Cupcake Tape Measure. NOTE: Only half way through the recipe we realised that you are meant to leave the dough in the fridge for an extended amount of time, but we did an hour instead (each time it says refrigerate) as we were running low on time. TIP: Don’t pile too many decorations on the roof otherwise the weight will collapse the house! We realised this after, hence why we weren’t hopeful! 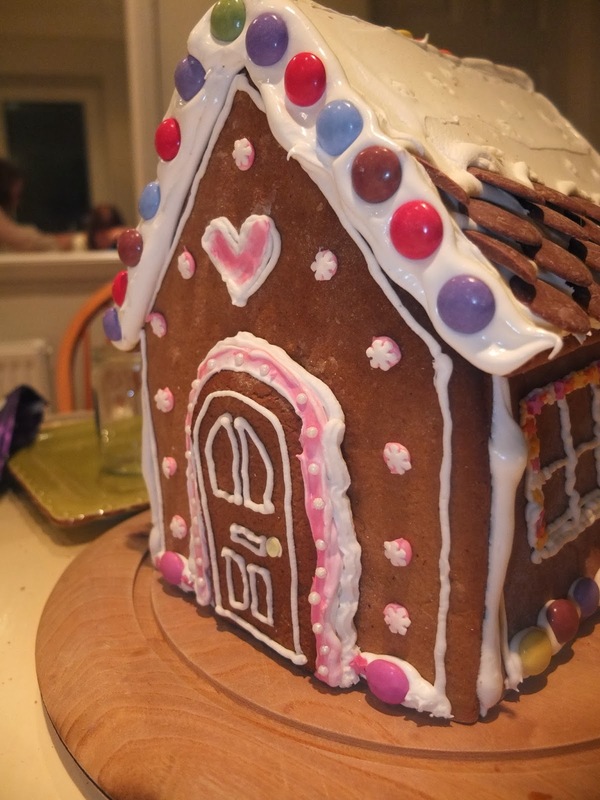 I may have squealed slightly when we put the roof on the top and it didn’t actually collapse! Mr. 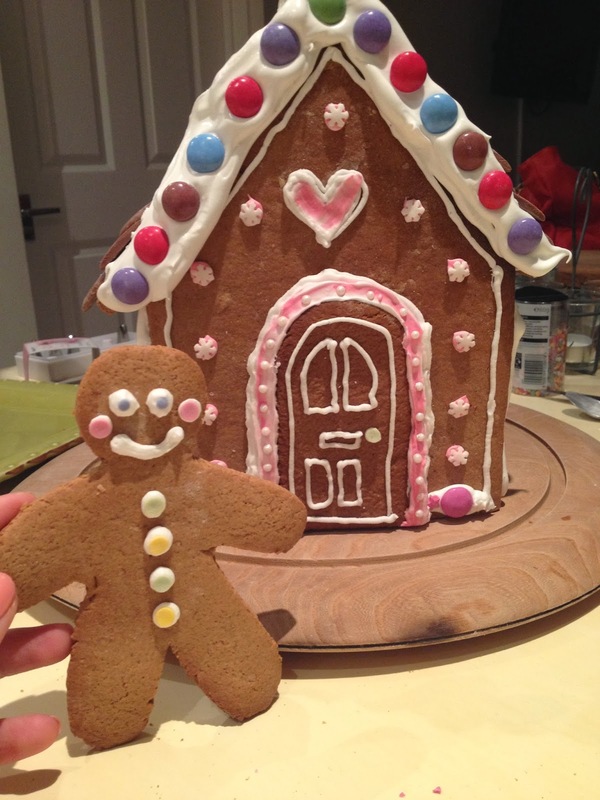 Gingerbread looked just as impressed with his new house as I was! Only problem is, when it looks that good, you don’t want to eat it! Sorry Mr.Gingerbread, you did taste extra good dipped in my cuppa tea though! P.s. Stay tuned for His ‘n’ hers christmas present ideas!